All images copyright © 2005-2011 by Wm. Robert Johnston and Victoria Johnston. 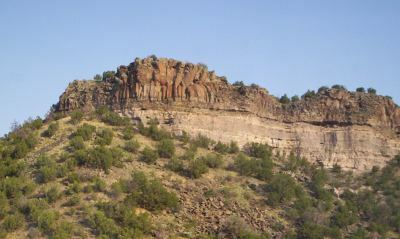 Pictures in the Los Alamos area, New Mexico, in 2005-2011. 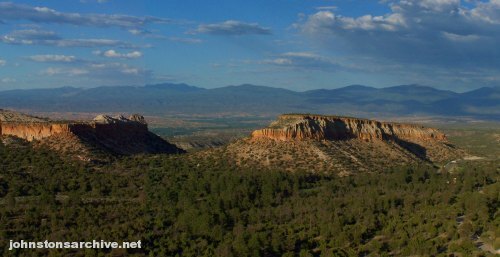 Mesas just east of Los Alamos, seen from NM-502 while headed into Los Alamos from the east. 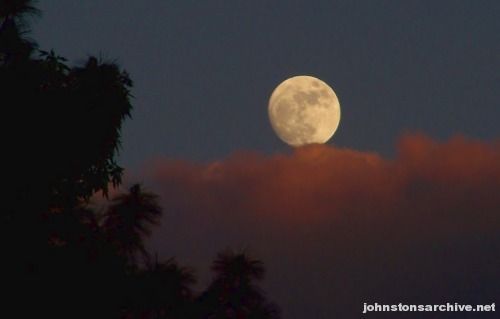 Moonrise seen from Los Alamos. 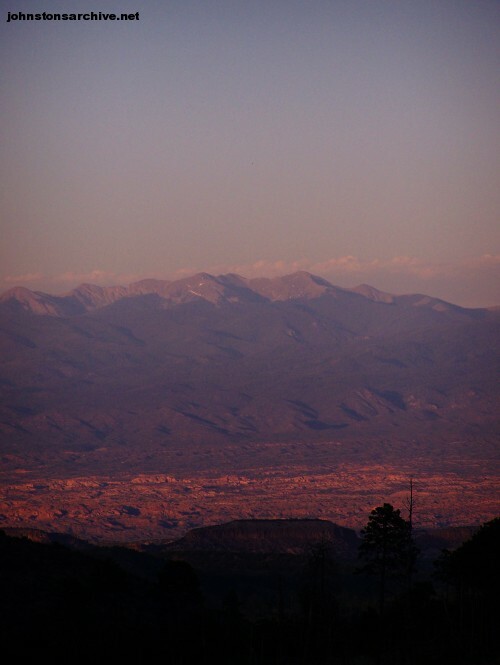 View from the foothills overlooking Los Alamos at sunset, looking to the east across at the Sangre de Cristo Mountains (with a little snow). The mesa in shadow in the foreground is Black Mesa, just on the east side of the Rio Grande; the pink rocks in the middle are about 30 km away, and the mountain peaks are the Truchas Peaks, about 62 km distant. Near Los Alamos, New Mexico. © 2005-2008, 2011 by Wm. Robert Johnston and Victoria Johnston.